I shot a 300 one week after I got it in March then shot another 300 last week in my summer league with it. The ball carries everything! GREAT BALL!!!!! I had decent expectations for this piece. I have had great success with the !Q series of balls. My initial thought was this will be a Marvel Pearl replacement. Boy was I wrong! The continuAtion and carry percentage was unreal. Even on poor shots this ball gave me a great look. If your looking for a house shot killer, look no further! I truly love my Storm Son!Q. The Son!Q expands on the successful !Q line. In comparison to the original IQ Solid, i have this ball about 3-4 boards more on the backend, and even a little earlier in the middle part of the lane. This ball helps me blend wet/dry conditions very well. 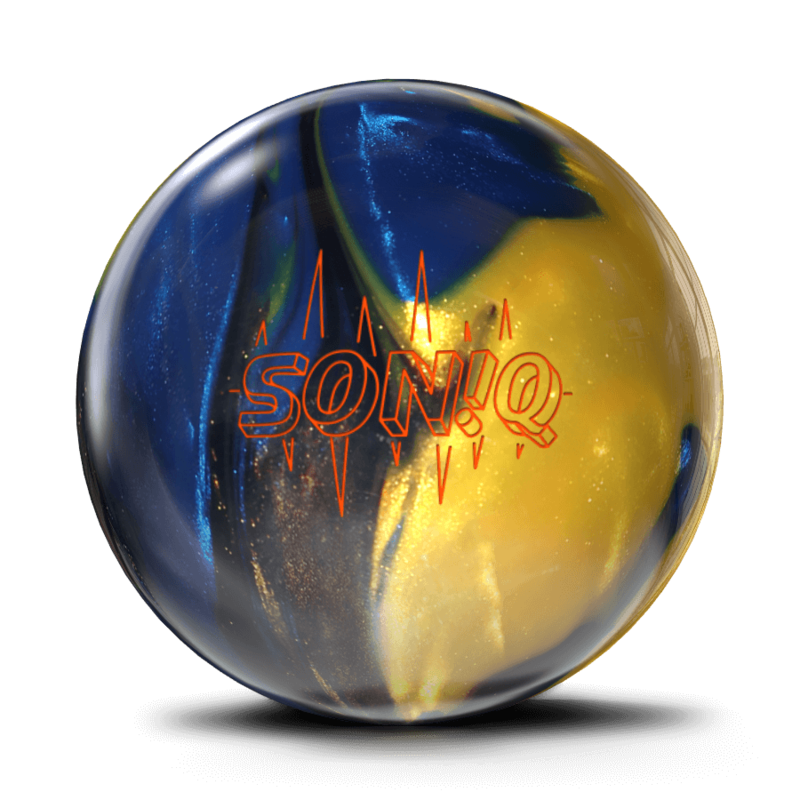 If you are looking for a new benchmark ball, look no further than the Son!Q! I was unfair with this ball. To be honest, I was rather unfair with the Son!Q. I had a string of bad days with it, as the ball would constantly wash out. Then one day, I figured it out, so I went back to the alley and bowled some more, and bowled an unofficial 800 series, with a high game of 279! It hits like a truck and has good length, with a rather sharp move to the pocket. High rev rates will love this ball. If you love your !Q's you are definitely gonna love this one. I am the owner of 2 !Q tours and unfortunately my first one met an untimely end a few months ago. It was my benchmark, go to ball on league nights and tournaments. Went out to the shop recently and when I saw this ball I caught my eye right away. Familiar look like the !Q Tour Fusion but whole lot more. Its the strongest ball I have in my bag. If you like the !Q balls you will love this ball. Started League last night with my new Soniq. Second game on this ball 299. this ball hit the pins and puts them down. Got through the heads great with a nice move on the backend. The Son!Q is probably one of the best sport balls out there. To me it feels like a more "throwable" Intense. Very snappy on the backend, yet very forgiving. My only complaint is the need for a large volume of oil. If using on a house shot, the pattern must be close to fresh, and the ball doesn't give much warning before going through the nose. Overall, I would recommend. After Rick Reynolds got his Storm Son!Q drilled up at Bowlersmart Chery Valley Pro Shop inside Cherry Bowl. Rick Reynolds has been on a terror. He has racked up 750+ series a number of times. The latest of scores happened just recently during the Rockford City Tournament. Rick rolled a 300 the first game out for Singles. He then had a 760+ series for his singles event! Rick is a unique bowler, much like Mika Koivuniemi style. He lofts the first 6-8 feet of the lane and takes the front part of the lane out of play. For Rick this ball seems to give him a clean transition through the front of the lane and still that great charge to the pocket down-lane. We here at Bowlersmart would like to congratulate Rick on his awesome 300! way to go Rick! What I saw on the lanes: First off, the whole approach and settee area smelled wonderful because of this ball. Actually had people the pair over walked over and saw it was “one of those smelly bowling balls”, and wondered what the scent was. 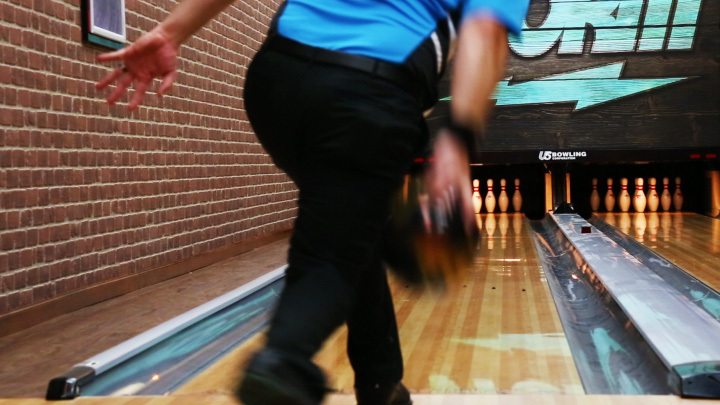 Now for the lanes, I compared it to the IQ 30 and saw an improvement in the back end and mid lane roll and also a real difference in pin carry, if you watch my youtube video on the ball, you can see a difference in the carry of the pins. The Updated Centripetal HD core delivers an extra punch in the pocket. The ball for me needed a little tweet on the cover stock when being used on SPL and Brunswick lane panels. I adjusted the cover stock to 4000Ab and the ball rolled great again. Drilled it up 4x4x2 and threw it on Kegel Stone Street. This ball is a monster, as a tweener I don’t normally play deep with this much of an open angle. The SonIQ made me look like a cranker, like the review said it did help me generate more area to get to the pocket. Carry was great at a house that does not normally carry well. 248-258-300 = 806 first time out. Only 3 games with it so far but loving it! I ordered this ball for my daughter and her scores have improved. I got this ball last night and threw it in league last night, First off I have only ever had one ball that carried anywhere near as well as this ball and that's my Pitch Black. This ball absolutely crushes the pins, I've never seen a ball throw so many pins around. First game I threw a 258 with this ball. Overall very happy and can't wait to get this ball on a sport pattern!!! Thank you Storm for this amazing ball! I threw this ball last night. 204 & 241. The pin action was unreal. The way this ball moves is unreal. I was throwing 16-18 mph with a 450-475 rev and it wanted more. 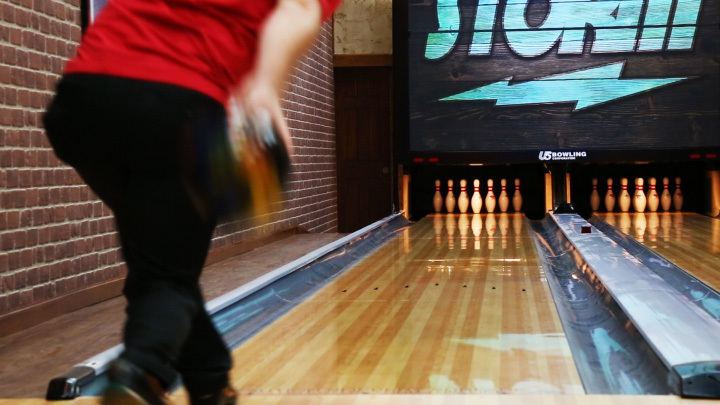 The lanes were a little heavier than normal, and it still would turn on a dime and leave 9¢ change. Once it gets worn in more, I know it won’t react like that. But, I’ve never seen a Storm ball react like this. 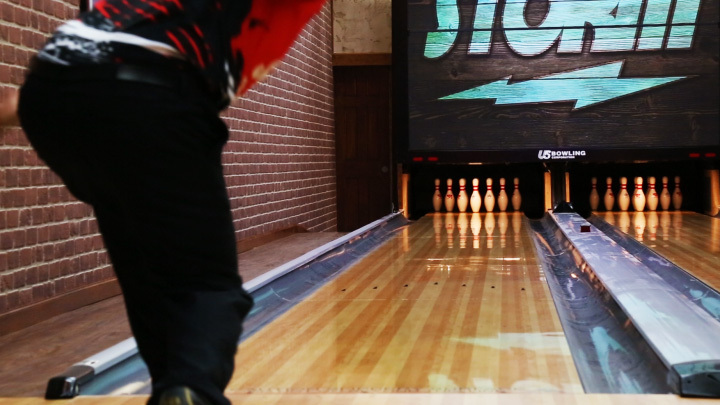 If you’re a high revver, high speed bowler, this is for you. Don’t blink, because you’ll miss how quick it cuts into the pocket. Pins were crashing and doing somersaults and exploding back there. Even when I would hit high, I was still striking them. Ialso have Timeless, Phaze II, Pitch Blue.